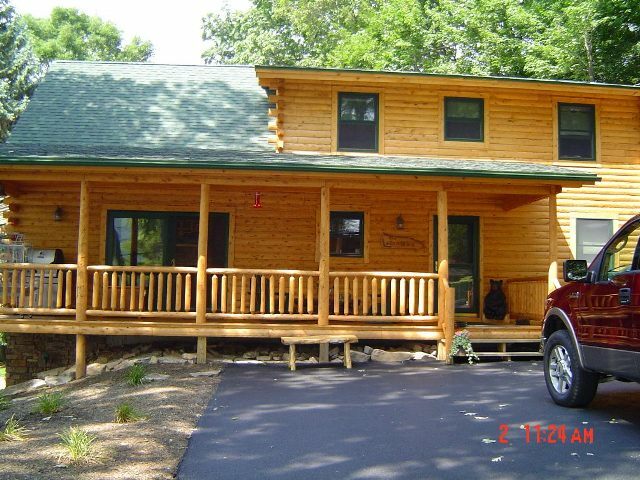 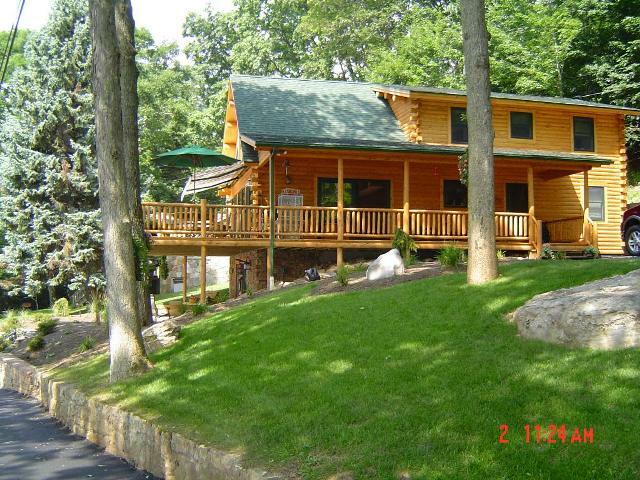 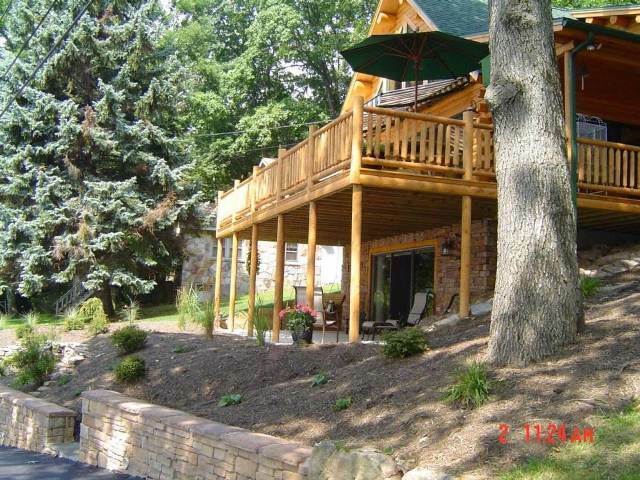 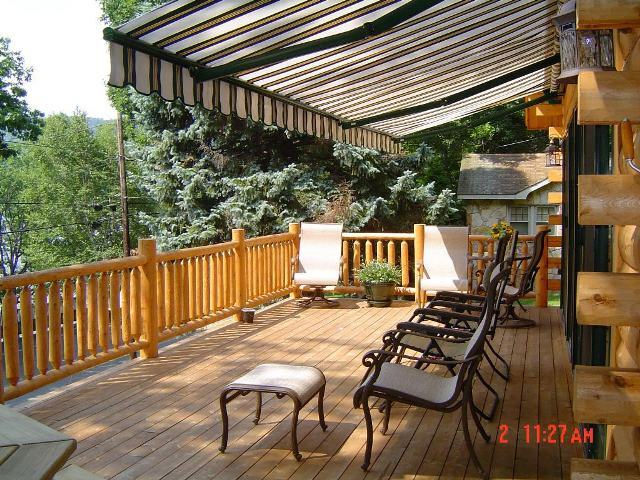 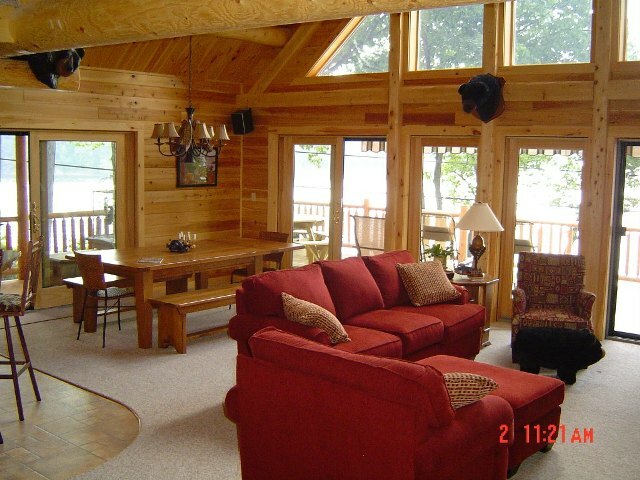 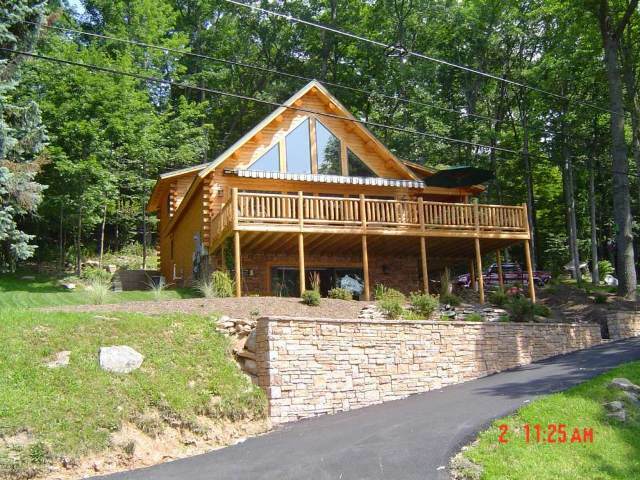 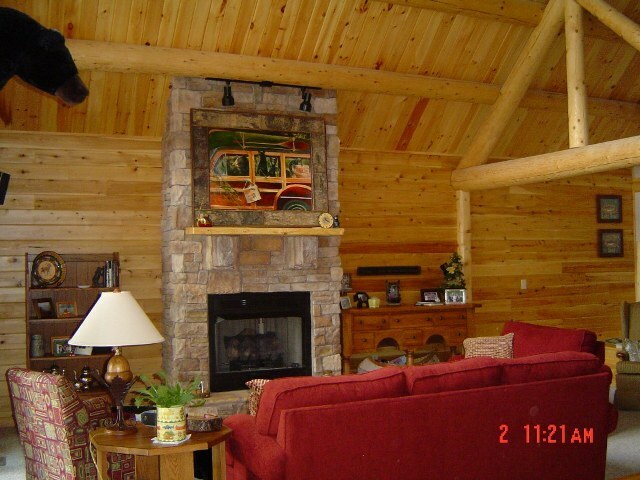 Project #MD04-5: This recently completed Katahdin Cedar Log Home boasts 2,000 St. Ft. of living space. 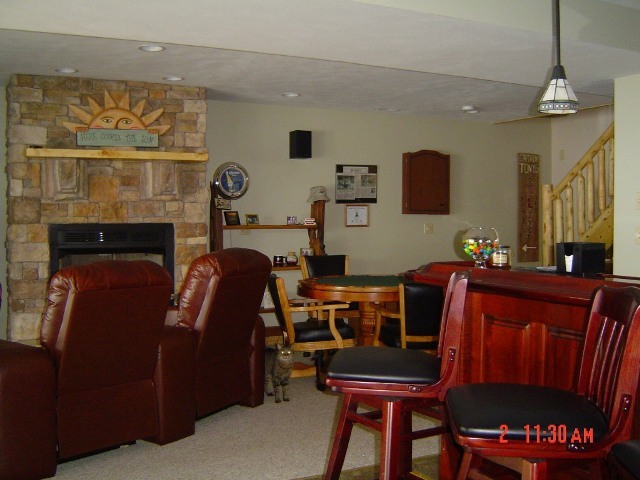 The home has a bedroom, full bath and a den above in the loft, and a completed basement that has a bar and a second gas fireplace. 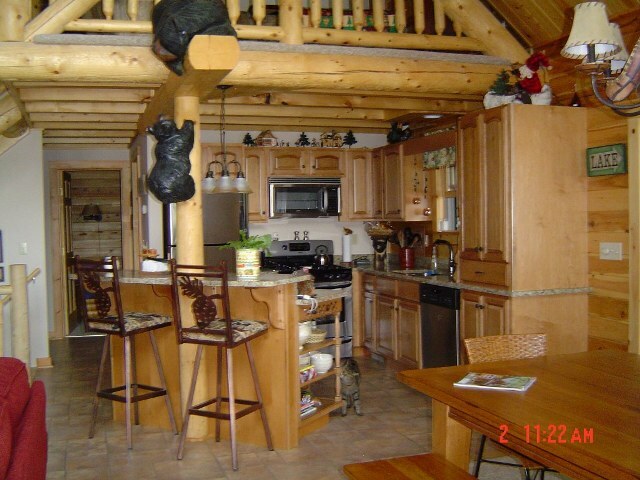 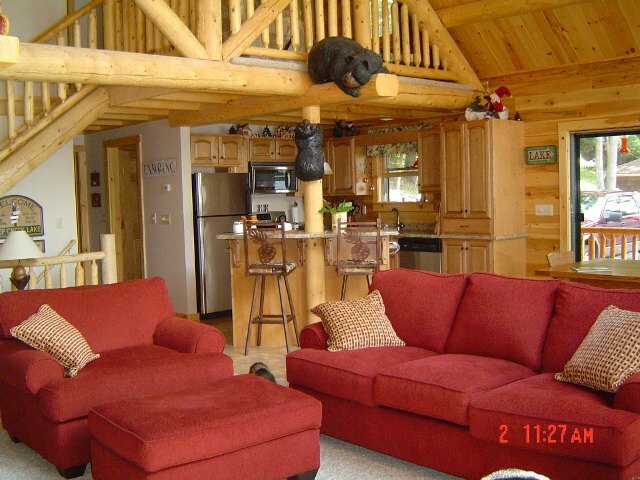 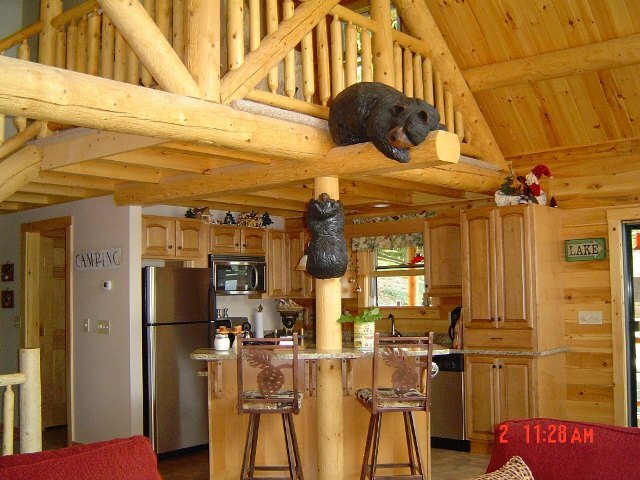 The homeowners aslo added a whimsical feature over the dining area, a bear carved with a chainsaw. 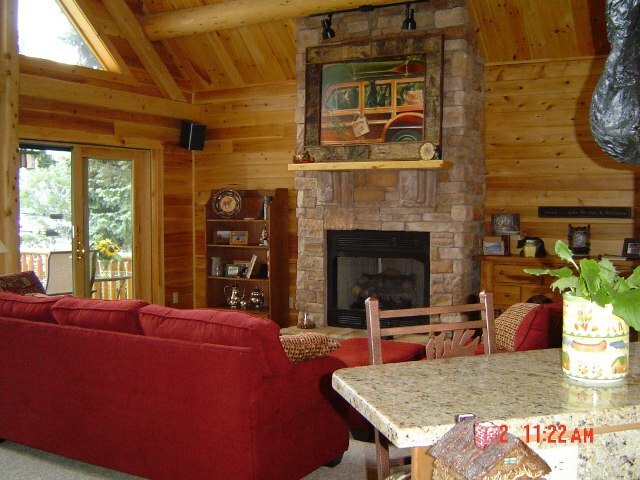 This Showcase has a few more pictures because the homeowners let us come back after they furnished the home, giving you a peek at the finale.